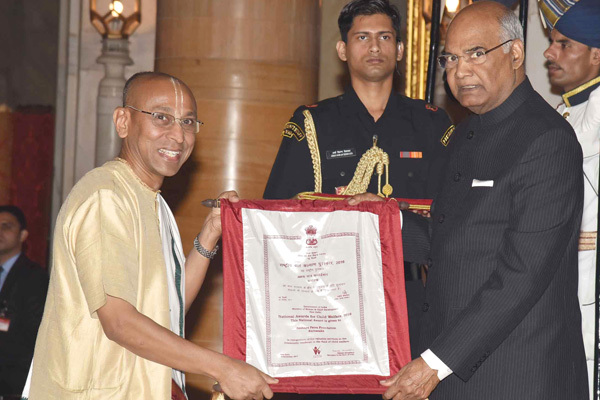 The prestigious National Award for Child Welfare was conferred upon The Akshaya Patra Foundation by the Honourable President of India, Shri Ram Nath Kovind on November 14, 2017. It was received by Shri Chanchalapathi Dasa, Vice-Chairman, The Akshaya Patra Foundation. The awards were given in the presence of Minister of State for Women & Child Development, Dr Virendra Kumar. A cash prize of Rs 3 lakh was given to the Foundation.